Recently discovered in moms attic. Both dolls are 24" tall. 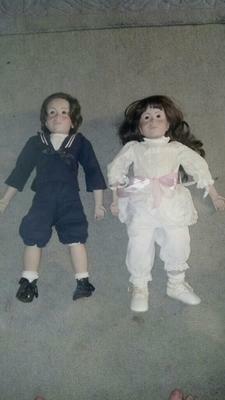 Both dolls are bisque - hands and upper arms, feet and lower legs, and heads. 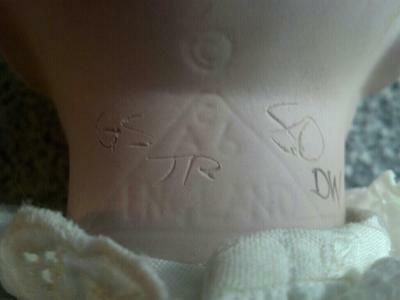 Both dolls have makers marks and makers tags. 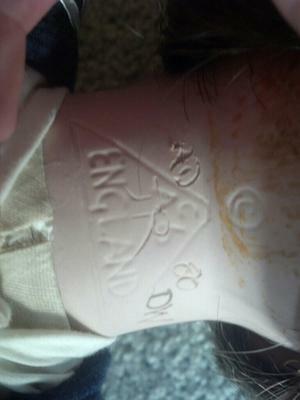 Marks are on the back of the neck, tags are sewn into chest seam. 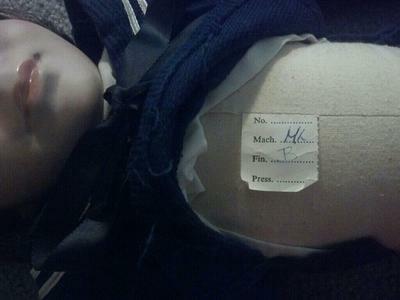 Both dolls are evenly and well stuffed with no apparent damage. Girls dress bears Alresford Crafts Ltd. tag. Any help identifying these will be greatly appreciated.